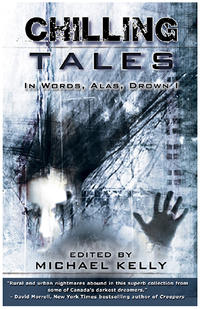 Canada’s maestro of the macabre, Michael Kelly, brings you CHILLING TALES: In Words, Alas, Drown I, an all new collection of nightmares that will perturb and torment you. Tales that will leave a frisson of fear and raise a quiver of gooseflesh. A chill is in the air.